Now that it is fully fledged autumnal weather, I can start reaching for those autumnal shades. I have a whole line of autumnal shades to share with you, some old, some new. 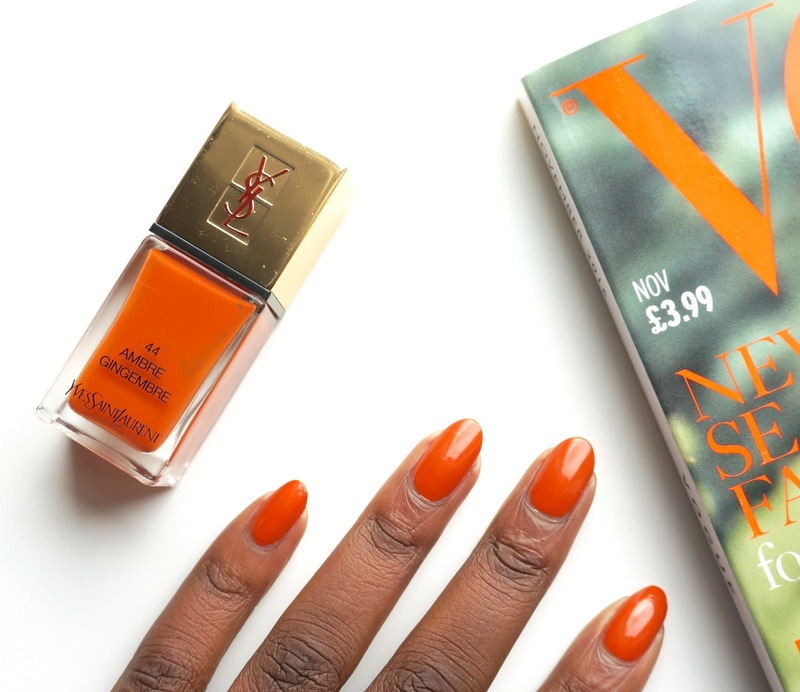 I cannot wait to unviel the new shades that I've snapped up from Chanel and Nails inc. in the meantime, let's talk about Yves Saint Laurent's Ambre Gingembre, a burnt orange shade that I have been rocking on my nails this past week. 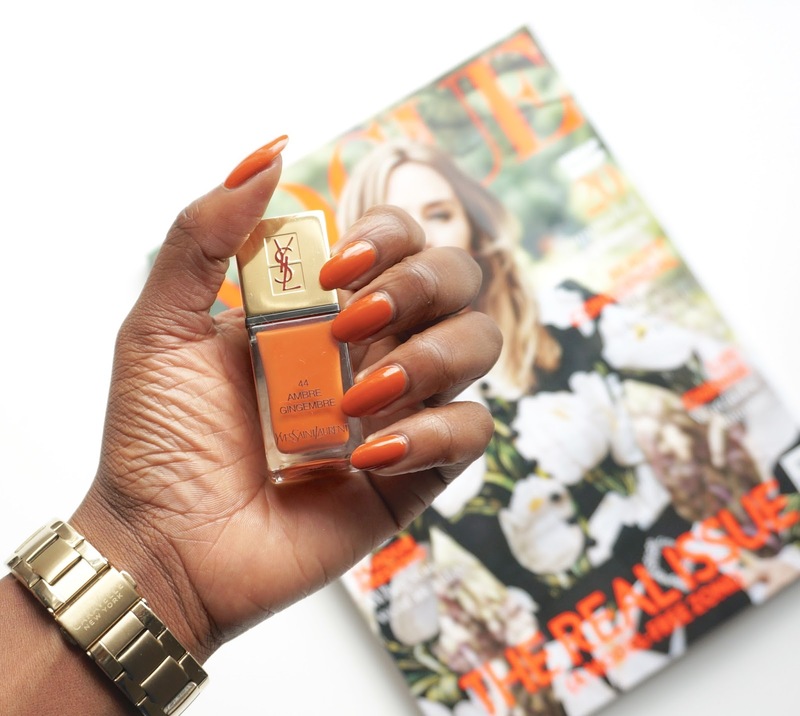 I picked up Ambre Gingmbre a little over a year ago so I'm not quite sure if it's still stocked on the Yves Saint Laurent beauty stalls in stores but I am most certain that you can find it online. 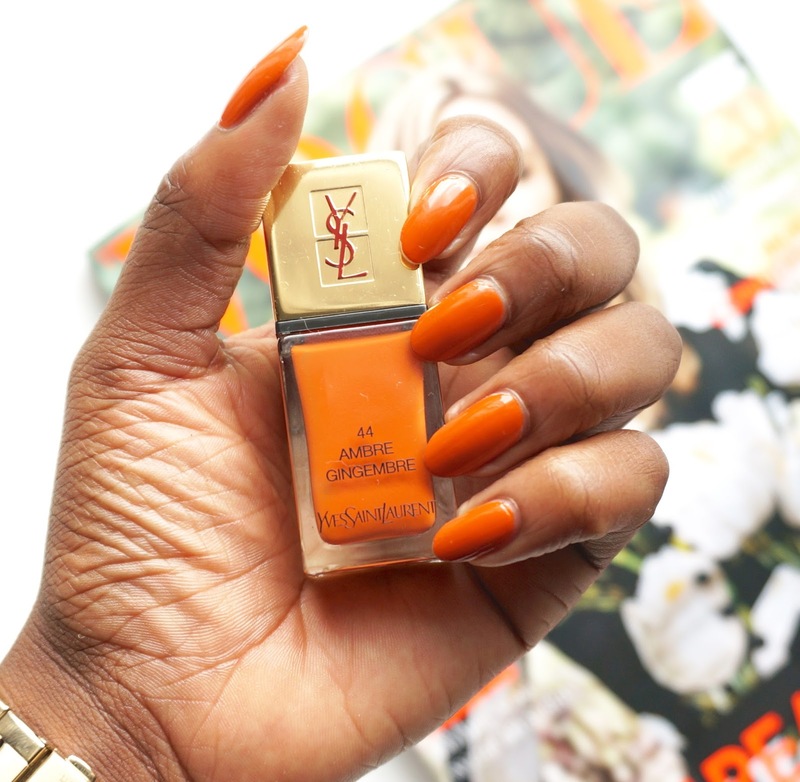 YSL Ambre Gingmbre is the perfect transitional shade to see you into autumn. It is a lovely burnt orange shade that will compliment those darker shades in your closet.